Change things up with these side-trips from Singapore: Sentosa Island (Universal Studios Singapore, S.E.A. Aquarium, & more). 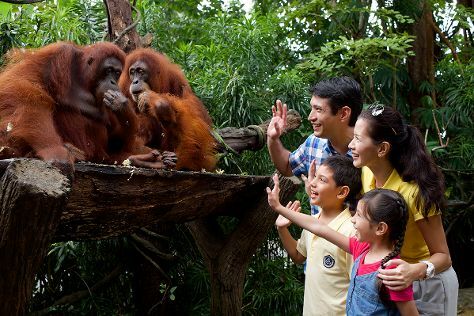 Next up on the itinerary: meet the residents at Singapore Zoo, explore the activities along Marina Bay, enjoy breathtaking views from Marina Bay Sands Skypark, and shop like a local with Orchard Road. To see maps, photos, ratings, and more tourist information, read Singapore trip itinerary builder app . If you are flying in from Hungary, the closest major airport is Singapore Changi Airport. January in Singapore sees daily highs of 36°C and lows of 29°C at night. Finish your sightseeing early on the 18th (Fri) to allow enough time to travel back home.